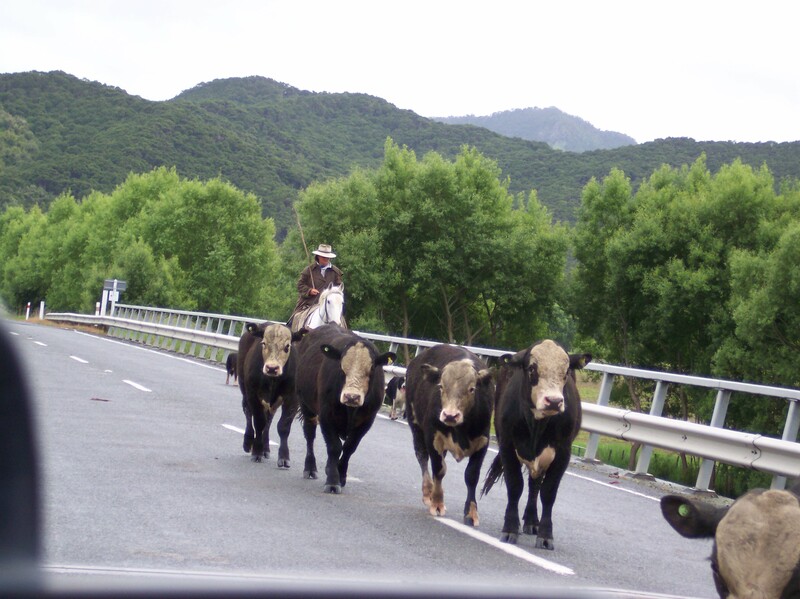 During one trip to New Zealand, we had to stop to allow cows to cross the road. That’s not an odd occurrence in New Zealand. 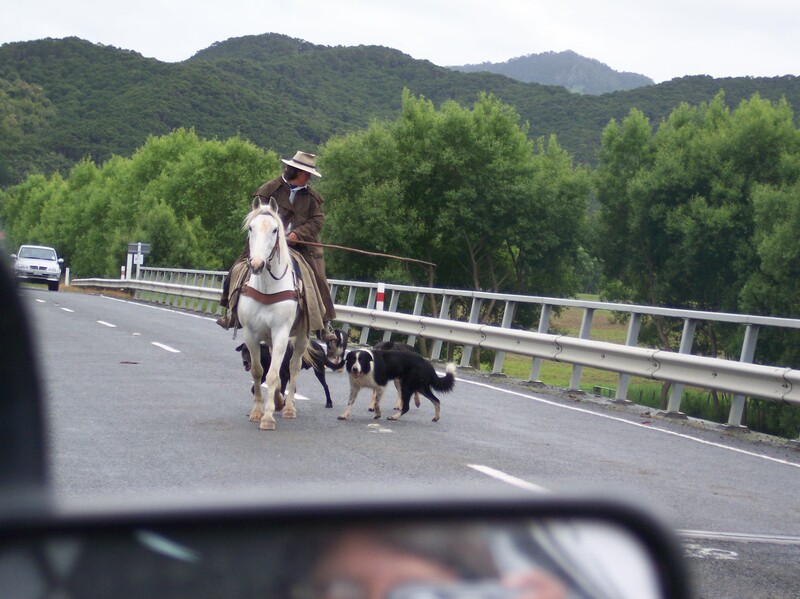 When this is done, the farmer and dogs are usually about, encouraging the cows to get out of the road and into the next pasture. Normally, the farmers are on four-wheel drive quads. But not this one. I had to take a picture of her. She just looked so…nostalgic.